The Texas coast from Port Aransas to Port O'Connor offers beautiful opportunities for seaside stargazing. 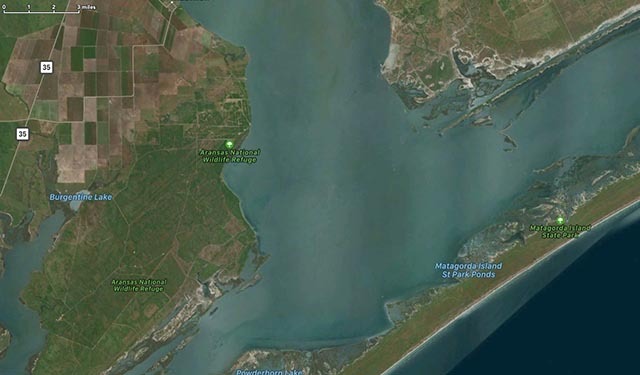 A gem with relatively dark skies for the area is Aransas Naitonal Wildlife Refuge and the more difficult to access Matagorda Island (WMA). Across San Antonio Bay the town of Seadrift has lodging and restaurants with fewer lights than better known coastal towns.